To celebrate, we've compiled a list of books to read that will prepare you for a weekend of FIFA small talk that will inevitability happen. It goes without saying that you're not going to become an expert overnight, but these books will be just the thing to help you navigate an evening of food, friends and football. 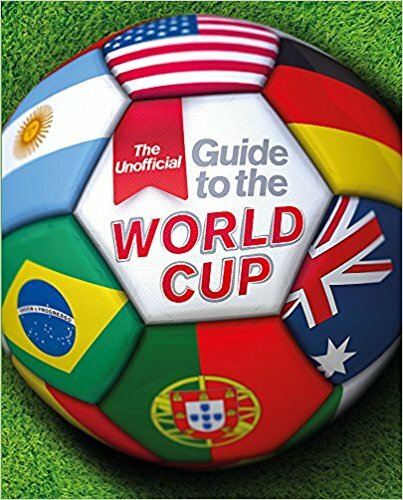 Whether you're a first-time fan or you've been watching for years, this books is a mine of fascinating facts, interesting insights and tremendous trivia into the world of the football World Cup. It explores the tournament's history, its biggest successes, controversies and flops and looks forward to the 2018 World Cup in Russia. The World Cups' top teams and players are also profiled. Learn all about the 2018 World Cup! 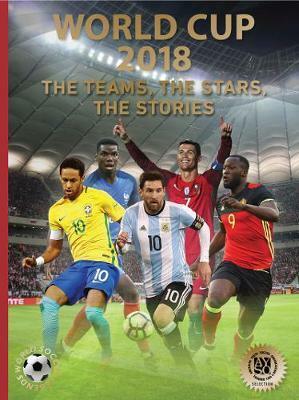 Discover the tournament's brightest stars, including unstoppable scorers Messi, Neymar, and Ronaldo, promising newcomers like France's Mbappé, and the world's best goalkeeper, Neuer. Get the inside scoop on the teams heading to the showdown in Moscow―and why the Americans fell short. Here are the backstories to previous tournaments―from the first small Cup in Uruguay to the shocking French loss in 1996 to Germany's recent triumph in Brazil. Filled with World Cup records, player stats, and incredible action shots of on-field wizardry. The 2018 World Cup edition of the international bestseller and "the most intelligent book ever written about soccer" (San Francisco Chronicle) is updated throughout and features new chapters on the FIFA scandal, why Iceland wins, and women's soccer. Named one of the Best Books of the Year by the Guardian, Slate, Financial Times, Independent (UK), and Bloomberg News! Written with an economist's brain and a soccer writer's skill, Soccernomics applies high-powered analytical tools to everyday soccer topics, looking at data and revealing counterintuitive truths about the world's most beloved game. It all adds up to a revolutionary new approach that has helped change the way the game is played. This World Cup edition features ample new material, including fresh insights into FIFA's corruption, the surge in domestic violence during World Cups, and Western Europe's unprecedented dominance of global soccer. The greatest stars of international women's soccer today. One of the most anticipated sports events on the horizon is the 2019 Women’s World Cup, to be held from June 7 to July 7, in nine French cities, including Lyons, Nice, and Paris. With the last Women’s World Cup breaking records for worldwide viewership, here is required reading in advance of 2019: The World Soccer Legends series completely revised edition of Stars of Women’s Soccer, with 28 of the best female players from around the world. Discover tournament attendees from the world over, including longtime favorites and impressive newcomers, such as American goal-scoring machine Carli Lloyd; tall, Martinique-born defender Wendie Renard; and the razor-sharp Brazilian defender, Marta. Here is a compilation no fan can do without, filled with all-new photos of the women in action, updated stories that relate each player’s upbringing and unique talents, and callout boxes that distill essential information―including birthdate, flag, height, position, current team, international games, and goal tallies. Soccer is not only the world's most popular sport; it's also one of the most widely shared forms of global culture. The Language of the Game is a passionate and engaging introduction to soccer's history, tactics, and human drama. Profiling soccer's full cast of characters--goalies and position players, referees and managers, commentators and fans--historian and soccer scholar Laurent Dubois describes how the game's low scores, relentless motion, and spectacular individual performances combine to turn each match into a unique and unpredictable story. He also shows how soccer's global reach makes it an unparalleled theater for nationalism, international conflict, and human interconnectedness. Filled with perceptive insights and stories both legendary and little known, The Language of the Game is a rewarding read for anyone seeking to understand soccer better. 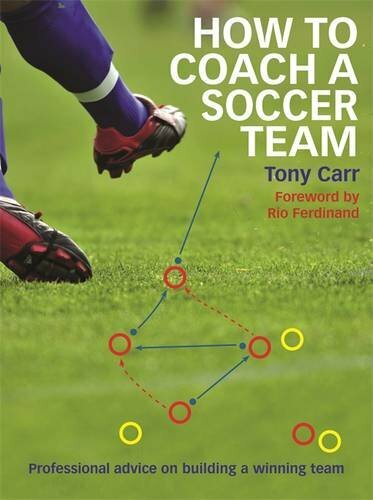 Inverting the Pyramid is a pioneering soccer book that chronicles the evolution of soccer tactics and the lives of the itinerant coaching geniuses who have spread their distinctive styles across the globe. Through Jonathan Wilson's brilliant historical detective work we learn how the South Americans shrugged off the British colonial order to add their own finesse to the game; how the Europeans harnessed individual technique and built it into a team structure; how the game once featured five forwards up front, while now a lone striker is not uncommon. Soccer. No other sport in the world captivates a bigger audience--and no other competition electrifies its fans like the World Cup. Jam-packed with information about each and every World Cup ever played, this revised and updated edition of a Matt Christopher classic captures all the amazing highlights of soccer's most famous tournament. Want to know who was behind the biggest surprise defeat of the 1950 World Cup? It's in here. Want to know which country has won the Women's World Cup more than any other? Just turn the page. Want to know more about the biggest triumphs and harshest defeats, all while feeling like you're on the field with the sports legends? Wondering what the term Total Football means? You'll find the answers here--along with much, much more. The greatest goals… The most spectacular saves… Meet the top 40 soccer stars of all time! Relive Ronaldo’s most memorable moments, learn about Messi’s legendary left foot, meet the youngest-ever World Cup goal scorer, Pelé, and see the some of the most spectacular saves in history. Every player is a winner in their own way, but who will you choose as your hero? Jam-packed full of fun footie facts about who each legend played for, how many goals they scored and the special skills they had, this is the perfect read for football fans all over the world. A soccer dad misunderstands when he hears that his son's team needs his help. Instead of taking care of halftime snacks, the dad grabs a jersey and runs onto the field to play! And what an embarrassment he is: he hogs the ball, complains about his teammates and throws a hairy fit when the referee doesn't call a play his way! Can the boy find a way to teach his dad how to be a good sport before he drives the whole team crazy? Maureen Fergus, a Blue Spruce Award winner, has the perfect touch in crafting comic role-reversal stories. The boy gets to prove he knows more than his father --- always a hit --- but the two maintain a close and loving relationship throughout. The simple lines of Mike Lowery's art reflect the story's offbeat premise and child's point of view. 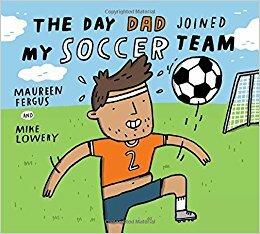 With hilarious lessons on being a good sport, following the rules and having patience with others, this picture book could spark conversations about self-awareness and managing relationships. It also works for character education lessons on empathy, compassion and perseverance, and is a terrific resource for coaches of all kinds. The Blue Jays season starts next Tuesday (April 2nd!) which means 180 days, 26 weeks and 6 months of baseball, cold beers, giant hotdogs, hearsay, bombshells and victories. Steve Clarke’s new book, the recently released 100 Things Blue Jays Fans Should Know & Do Before They Die (IPG), is the perfect companion for any Blue Jays fan eager to know more about Canada’s sole major league baseball team. It is an enthralling, entertaining, informative assemblage of the hidden, unknown, and odd facts, traditions and achievements of the Toronto Blue Jays. Clarke offers even the most die-hard fans - fans that describe the moment Joe Carter hit his walk-off homer to win the 1993 World Series like they are Joe Carter – facts, and events that they surely didn’t know. He covers the collapse of 1987; manager Jimy Williams’ baffling in-game adjustments; Pat Gillick’s deft trades; the American League East titles in 1985, 1989, 1991, 1992, and 1993 and the opening of the SkyDome. He ranks every essential piece of Blue Jays knowledge and trivia, as well as must-do activities, providing an entertaining and easy-to-follow checklist. 100 Things Blue Jays Fans Should Know & Do Before They Die is the ultimate resource for fans that enjoy being able to reel off sport facts and trivia like any seasoned colour commentator. Yesterday, Canada's Ryder Hesjedal became the first Canadian ever to win one of the cycling world's main events, a Grand Tour. Congratulations to Ryder and his Garmin-Barracuda teammates (and to their bike supplier, Canadian performance bike manufacturer Cervelo) on their historic win! Endurance sports publisher VeloPress was already prepared for a breakout performance from this team, having published Argyle Armada (ISBN 9781934030813) in March 2012, in time for all the big races. Argyle Armada, named after the pattern on the team's most recognizable jersey and bib, is a portrait of life as a member of a top pro cycling team during the grueling European season. Photographer Mark Johnson was given unprecedented access to the team for all three Grand Tour races in 2011. His pictures unveil the dramatic forces that Garmin-Barracuda (formerly Garmin-Cervélo) navigated through during the 2011 Giro d'Italia, Tour de France, Vuelta a Espana and more. In Argyle Armada you'll meet the riders, see the bikes and begin to understand the challenges they all faced in reaching the podium in Italy this past weekend. And don't forget, with a copy of Argyle Armada on your shelf, you'll be able to show your friends (and competitors!) that you were already on-board with the team before Garmin-Barracuda's first big win! Patrick Chan Receives Three Guinness World Records! Patrick Chan was officially recognized by Guinness World Records yesterday as he accepted three Guinness World Records for his record breaking achievement of best score in the short, long and overall performance at the most recent World Figure Skating Championship in Moscow, Russia. Guinness World Record Adjudicator, Amanda Mochan, put it best. "Patrick truly embodies the ultimate in what Guinness World Records stands for, which is that hard work, focus, passion and determination can help you achieve your dreams, no matter what they might be." It is a huge accomplishment!! Congratulations Patrick!! The Art of Fielding. By Chad Harbach. Simply put - What a great novel. When was the last time you read a novel with multiple characters and were moved by ALL of them? The Art of Fielding is a novel about the beauty and complexity of baseball, about friendship, love and romance, about perseverance and real human emotion and interaction. Chad Harbach's writing evoked such a vivid picutre in my mind's eye of the characters and their world, and his storytelling was so compelling that I was right there with each character as they muddled through their connected lives. Admitedly, you will read more thorough reviews of this book, but this is a Must Read and Chad Harbach deserves every success with his amazing debut novel. Celebrate the 80th anniversary of the world’s most beloved elephant! Coinciding with the monumental 80th anniversary of Babar, this all-new book by Laurent de Brunhoff (son of Jean de Bruhoff, who first brought Babar to life in 1931) follows the world-famous elephant and his family as they experience the inventive, inspiring, and even romantic BABAR’S CELESTEVILLE GAMES, a pachyderm version of the Summer Olympics. Laurent de Brunhoff brings elephants to life in dynamic new poses. Elephants and other animals do seemingly impossible athletic moves—pole vaulting, swimming, gymnastics, cycling, diving and more—that will delight young readers and fans alike. Babar and his family see the best athletes from all over their world compete and meet new people from other countries. Babar’s daughter, Flora, likes to watch the handsome pole-vaulter Cory, from the country of Mirza. One day the two of them meet in the park, and love soon follows. When Cory asks Flora to marry him, everyone must come together to help them have a magnificent Mirzi wedding. Laurent de Brunhoff has kept the spirit of Babar and his family alive for more than fifty years. Originating as a bedtime story told by Larent’s mother, Babar first came to life through the art of Laurent’s father, Jean de Brunhoff, who produced seven books about the character. Laurent built on his father’s work and has created many bestselling adventures for the elephant family, giving the books new spirit through his use of line and color. BABAR’S CELESTEVILLE GAMES continues the tradition for a new generation. On October 19, 2010, Lyons Press is releasing a new edition of Irish Thunder (978-0-7627-6986-5), the stirring comeback story about boxer Micky Ward. The splashy, cinematic new cover will reference Paramount Pictures' The Fighter, starring Mark Wahlberg and Christian Bale – the film will see a limited release on December 10 and will go nationwide a week later! PopWatch is saying this could be an Oscar contender. See for yourself: watch the trailer in HD on the Manda YouTube channel!